A stranger leaves Ian a bequest that starts him on a search which begins five hundred years earlier and takes him further back in time until his hunt leads him to TeotihuacÃ¡n in Mexico. However, even Ian didn't realize where his search would finally lead him as he and Mac dig beneath an ancient palace. They discover a pair of skeletons who are guardians to a goddess and a crystal spider that takes them on yet another journey. All the time they are being stalked by a man who believes he has been cheated out of his inheritance. 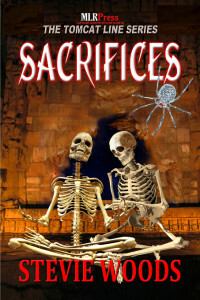 This is the third paperback in this series.